This four partseries will meet every other week to learn all the basics of quilting. You will learn not only how, but why things are done along with terminology and techniques. A minimum of one quilt top/project will be made. 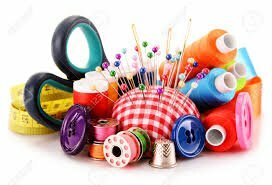 Requirements: Student needs to know how to sew on his/her machine and have basic sewing supplies, including cotton thread. Instructor will furnish fabric for class use as well as an additional supply list of items for future sessions.